Included in this lot we have a print titled 'Charlo Chief of the Flatheads' drawn by Jeanne Hamilton originating from 1971. The print shows the image of Charlo the Chief of the Flatheads in a red garments. The print is marked across the bottom of the piece reading "Charlo Chief of the Flatheads - Jeanne Hamilton 1971". 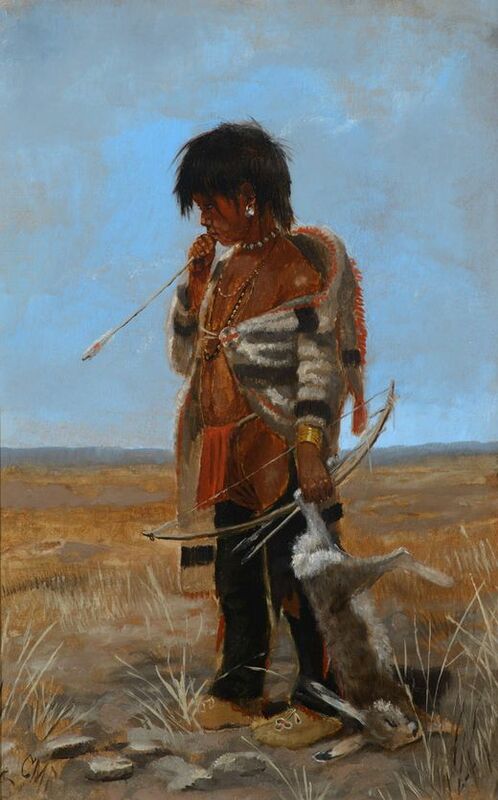 Hamilton was a well-known artist from Flathead, Montana. The print is in good condition overall. The print measures 8 3/4" wide by 11 1/2" long.